Ardamez • Blog: New design for the Ardamez Company’s website. New design for the Ardamez Company’s website. 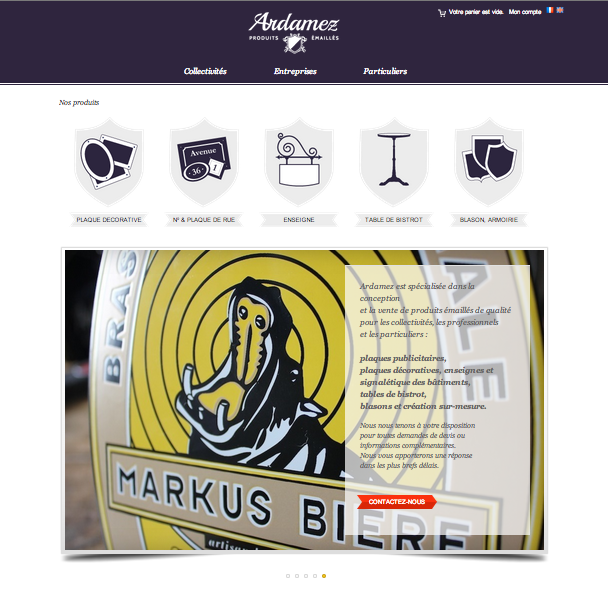 In July, the homepage of the ardamez.com website has a new spirit and incorporate slides of our last enamel plaques, signboards or other enamel bistro table realizations. - New enameled Street nameplates with an “Art Deco” and “Art Nouveau” design. - A new category of decorative plaques: the House enamel plaque. - Several new models of enamel bistro tables such as the Parisian enamel bistro square table or also an enamel rectangular garden table in large sizes.